Kargo Master believes you work hard enough. At Kargo Master we want to make your job easier – especially when challenges arise. Since the 1970s we have listened to your wants and needs. 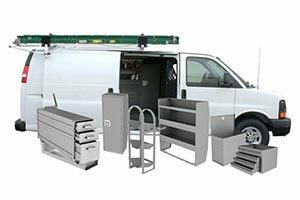 Our hallmark is to provide the best in truck and commercial van ladder racks, van equipment, and van shelving accessories. We offer streamlined styling without compromising strength or security.